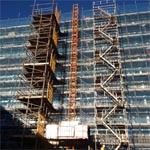 Independent Scaffolding Services Ltd have been trading since 1995 and in this time it has had a steady controlled growth. Starting out with a labour only service, we now have the resources to provide our clients with a full contract hire package. Our blue chip client base include The Kier Group, BAM, John Sisk & Sons, and various Local Authority Councils. 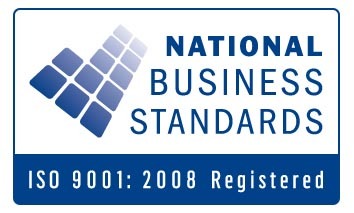 The company, over the years has obtained C.I.T.B registration, CHAS, Constructionline approval, Achilles Building with Confidence accreditation and we are an active member of the NASC along with all the necessary insurances and requirements to qualify as a fully established sub-contract company. 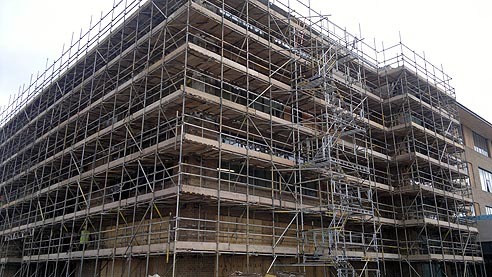 Independent Scaffolding Services Ltd is an investor in people and believes in training its staff to a high competent level. 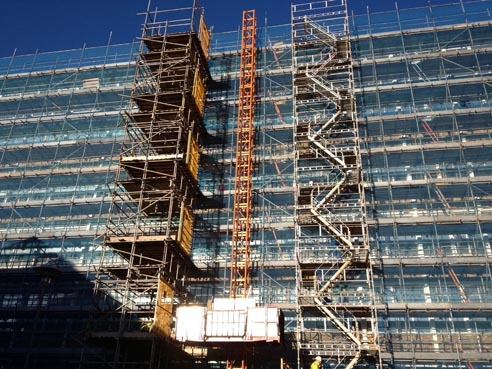 We only employ direct staff (no sub-contract labour), with ALL of our workforce holding a valid CISRS Scaffold Card, who consistently work inline with the NASC guidance and new TG20:13 Scaffolding legislation. We have a proven track record within the industry and will supply references to enforce this, should they be required.